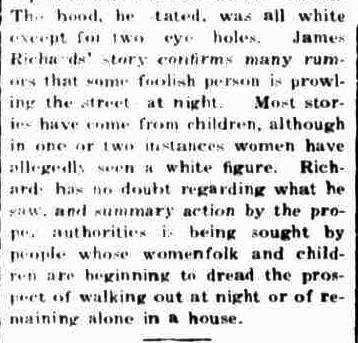 I have previously written about paranormal activities in Hamilton for Trove Tuesday, when residents thought War of the Worlds had come to town. Now I bring you the story of the Hamilton ghost. Well, actually four stories but not all of the same ghost and on one occasion the Hamilton apparition drifted out of town to Macarthur. 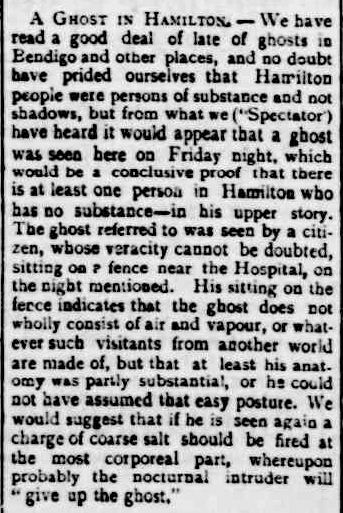 What I like about these stories is that the ghosts were not the transparent style of apparition, but rather the classic white sheet type made popular by 19th century theatre. 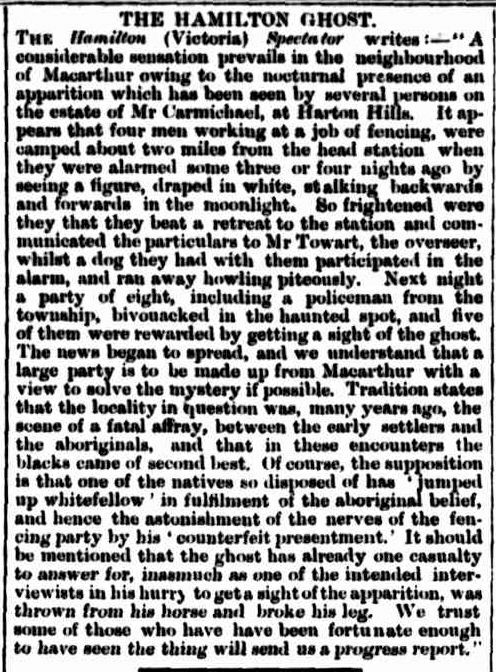 There is a varying amount of tongue in cheek used in the reporting, but on each occasion there were a number of people scared out of their wits. 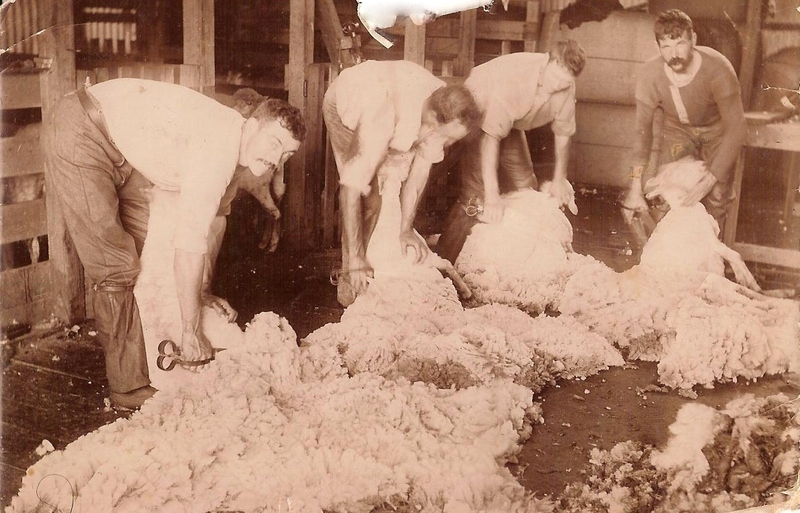 This entry was posted in Trove Tuesday and tagged Hamilton, Macarthur. Bookmark the permalink. 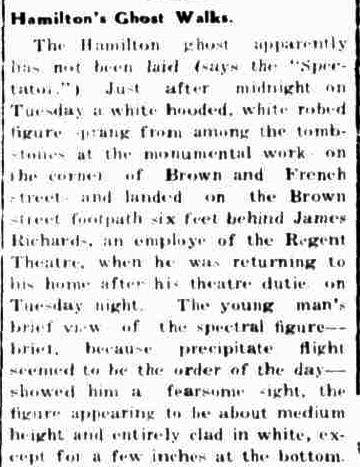 So the Bendigo ghost reported 2,3,4 & 5th of September 1898, was not going to leave Hamilton wanting. By the 14th they had their own. 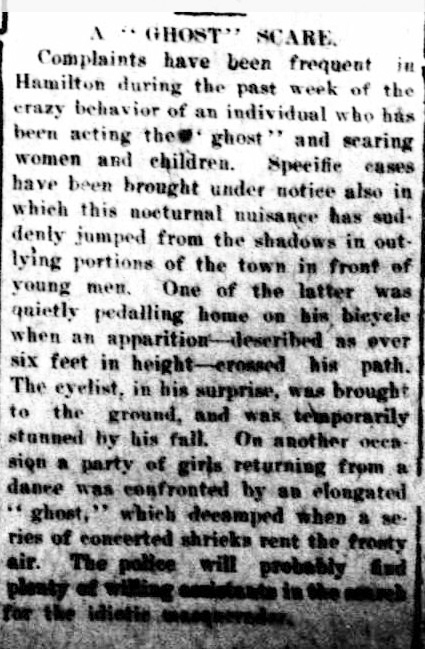 The readers at the time must have loved all that silliness, and now some genealogy searcher entering Carmichael or Towat or Harton Hill into their searchbox will no doubt enjoy the ghostly fun.